@castellano is a witness who looks to promote talented people on Steemit. One of its objectives is to establish bridges for all the spanish-speaker community with other communities, they hope to be an example and guide of the responsible development of activities made in the blockchain, activities who benefit the users, that’s why they decided to support the Sing it Contest. And for you, to get to know all the details of the contest and get to participate, we made a little enterview to its creator @betamusica and one of its judges @ilazramusic, and this is what they told us. 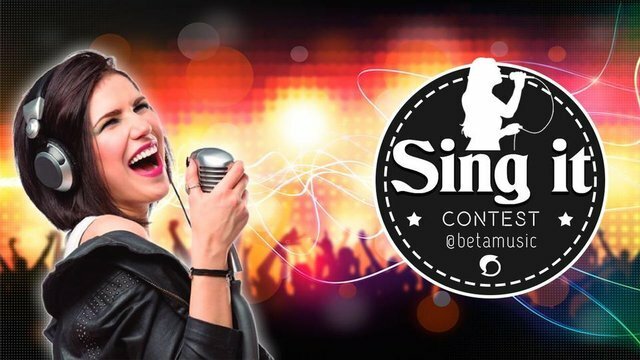 Sing It is a contest created by @betamusica under the initiative to support the musicians of STEEMit and the conception of popularizing the Dlive platform in the community. It is an original contest that has the objective to support the singers to whom they needed a space dedicated to valuing their voices , whether it be acapella, with an instrument or musical track. The most important thing for the jury is the voice of the artist, making this an unique contest on the platform. In this contest the vocal quality is valued above all without leaving aside the tuning, the synchrony between the singer and the instrumental accompaniment (or the track) and the performance. The interpretation is very important. Each week the contestants are demanded more , since in the post of the winners the juries tell what they liked and what can be improved for next occasions. There are little details among the winners, but it is a feedback that makes it good for everyone. @castellano is the sponsor of this contest, giving 10 STEEM shared by the winners, which is a great incentive for the participants and give us the responsability to be be very emphatic while evaluating. For us it is difficult to choose, when we meet to see the contestans always amaze to see that more and better talents join, it is difficult not to give awards to the majority of them. When choosing the winners we agree almost all the times, except in the fourth Week where we had a long debate to select the winners. In the next editions of the contest we will invite a third judge so the panel be three of us instead of two and i’ll make debates more interesting. What inspire me to create this contest came from the motivation of expand the spaces for musicians on the platform, especially those who do not have the possibilities to get a musical accompaniment for other contests. this is also a space created for those talents that are rarely visible. Part of the initiative to create this was because of recommendation of @nnnarvaez who is my friend and, in the middle of a conversation he gave me the idea of creating a contest in which only use Dlive as a platform and take it on my own. with his support I encouraged to create it and then was when i called Ilazra to join on it, and between both of us we gather our ideas and create the promotional post, @carlos-head help us with the images and im so much thankful with him for that, he is an Angel of the design and every time I ask him for help, he doesn’t refuse to support me, his work is amazingly well done for me. 24-year-old Venezuelan singer-songwriter, music and lyrics lover. From the age of 5 he started in the musical world singing in small children’s chorales, until he entered high school where he began to develop a little more professionally in the musical field. He learned to play cuatro at the age of 12, then learned to play guitar at 14. Since then he has not stopped playing string instruments, currently plays cuatro, guitar and ukulele. he is a Composer and professional singer-songwriter since the age of 15 under the pseudonym AZRA, which in 2016 was changed to ILAZRA for copyright problems. He is currently working on a record project titled Reggae Party which will consist of 10 reggae-pop themes. 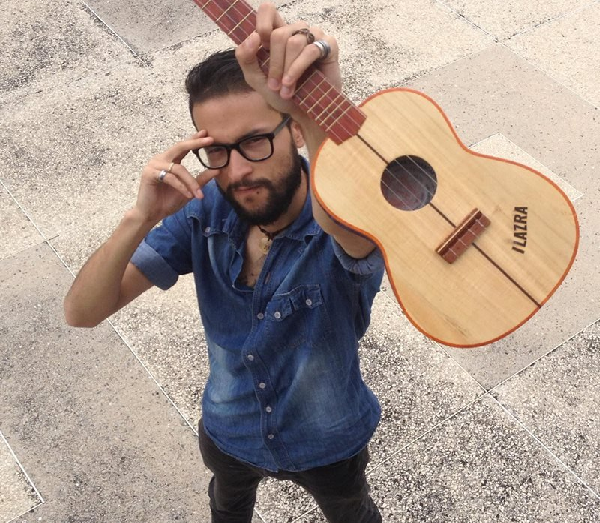 Venezuelan musician of 25 years old, born in La Guaira state Vargas, singer and performer of the classical piano and the guitar. Since childhood she has been in contact with music, she learned to play recorder at the age of 5, and minor percussion instruments in the symphony orchestra. At the age of 6 when she moved to San Cristóbal because of the Vargas tragedy, began singing in children’s choirs, his school and later in the children’s choir of Banfoandes. From there she join the youth ensemble of Táchira with which she toured Colombia coming STA Bogotá. later joins the choir with which participates in the International Festival of choruses of Puebla in Mexico. She founded his own Vocal ensemble called Soul in 2017 and graduated as a graduate in music in the same year in the UNET having studied choral direction. Nowadays, she develops as a solo singer and seeks to specialize in the voice every day by knowing new techniques in courses that enrich her knowledge of vocal technique. What is feels to be a Sing It judge? @ilazramusic: “I feel great because I can contribute to the growth of musicians that cannot participate in OpenMics for not playing any instruments. that makes me feel special and makes me feel even more committed to the platform. And with this we invite you to participate in the contest, do not miss the opportunity to show your talent on Steemit for the world.